Welcome to the Ste. 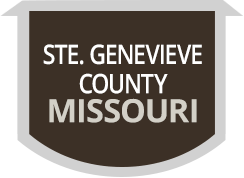 Genevieve County Recorder of Deeds. It is our duty to maintain & preserve all records in our office. Our mission is to provide the public with information they may need & to answer the questions they have pertaining to our office. The public can come into our office to search our records & purchase copies of transactions if they need them. In 2013 we launched our website. The public can get on line to view & search our documents. We are indexed back to 1896. We are currently back scanning our images & have them back to 1995. If you wish to search & print documents on line we offer different subscriptions for you to choose from. The IDOC link is below. Recording documents pertaining to land transactions & all other miscellaneous documents that comply with Missouri Statutes. Issuing & recording marriage license & providing copies to the public for a fee. Filing Military discharges (DD214) & providing copies at no charge. Providing copies/certified copies of public records for a fee. Assisting the public in locating records. http://www.idocmarket.com : To search & view records on line. http://www.morecorders.com : Missouri Recorder Association has helpful resources & information for your use.